Mindful Healing is a unique multi-disciplinary approach to healing that incorporates the theories of energy medicine, mindfulness and personalized nutrition. It was developed after spending years trying to find answers to heal my own personal health issues as well as those of my sons. Through this journey, I learned that there is always a deeper root cause to our health struggle and finding that is imperative to achieving true vibrant health. After much of my own trial and error, I was eventually able to find the right tools to help, that finally led me to shift toward a place of feeling well, having energy and being in good health. It was through this journey that I grew passionate about helping others overcome their personal health struggles and guiding them to achieve life balance. For many people however, this process can be incredibly overwhelming, as there are a multitude of theories on nutrition, healing and how to achieve optimum health. I am grateful to be able to offer you the same tools and modalities that helped me find my own personal wellness and vitality and work based off of individualized needs. My approach involves using different modalities to determine the root cause of the symptoms and assist in bringing balance into the body so that it can begin to heal itself. These modalities involve working with the body’s energetic system to assist in clearing out what may be clogging and weighing down the physical body. As a result, the body has an opportunity to heal and return to its healthy vibrant state. My practice includes the work of Holistic Health Coaching, Energy Medicine, Reiki, A.R.T. Allergy Release Technique® and Emotional Release Techniques. This work is incredibly profound and has been beneficial for those dealing with lyme disease, digestive issues, environmental or food allergies, autoimmune disorders, skin issues, anxiety, fatigue, and even fertility issues. My goal is to bring the body into a state of balance and to guide you to become mindful to what your body needs so that you can find that place of feeling well and strong within your own self. This unique wellness program addresses all areas of your life (diet/nutrition, health issues, sleep, relationships, career, emotional well-being), Integrating principles from Functional Medicine, your individualized nutrition needs will be met. We will utilize emotional release techniques to release emotional blocks standing in your way of you feeling your best self. This is extremely valuable work for helping you attain your goals and is unique to any health program. This program focuses on clearing out and cleaning up your body for pregnancy. We will focus on foods and dietary needs necessary for supporting your body during conception. We will utilize energy healing modalities to remove any physical or emotional blocks that may be standing in the way of you conceiving. Of more importance we will discuss designing a non-toxic environment for your home and nursery to make a safe arrival of your little one. This program is designed for those moms who have children with food allergies. After finding out about any food allergies, you soon realize that your whole world changes. As a parent, one of the hardest parts of this process is the lack of 1:1 support out there. This program is geared to help you deal with the apprehensions around it all and to guide you on how to handle situations as they come up. We will discuss dietary options, food alternatives and I will give recommendations for healing foods and supplements geared to support your child's digestive and immune system. Individualized Emotion Code sessions focusing on clearing and releasing emotional blocks that are negatively impacting your physical and emotional body. As the blocks clear, you will feel happier, have more energy, become far less stressed and become more in alignment with your body. As we release those trapped emotions and you set your intentions, you will watch your life gradually make shifts toward where you want to be, and who you really are. This work is truly amazing, life changing, and is an amazing healing tool on its own or in addition to any health coaching program. When I first entered the world of energy medicine several years ago, I was introduced to our chakra system. At the time I didn’t fully comprehend that our physical and energetic body was so connected, so understanding the importance of the chakra system was easy for me to overlook since it was something intangible to me at the time. Think about it for a minute…. what is the story (or stories) that you live by? In what form do you present yourself to the world? What are the conversations you internally have with yourself? Most often, wether consciously or through our subconscious mind, it’s the story we tell ourselves every day. Its the self talk that we have with ourselves that either leaves us in a place of receiving, or blocking what we really want and deserve. Are You In Alignment In Your Life? Most of us have had that moment when we’ve been driving to work in the morning… coffee in hand, your favorite song on the radio. You feel alive, awake and you think to yourself… “I feel good today.” You start to think about your life and somehow, in the depths of your own thoughts and in this one moment, you feel like you can accomplish all your goals. You feel the motivation. You feel like it is all possible. You feel excited. Most of the time however, something happens. 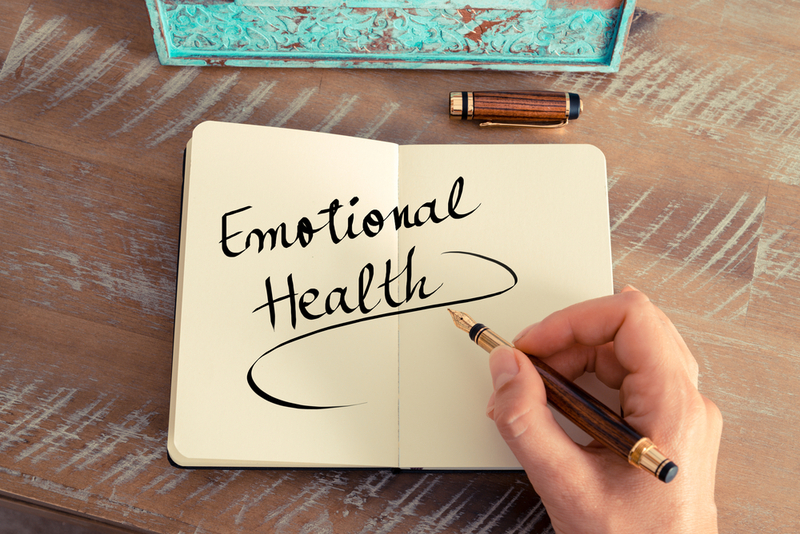 Are You're Emotions Affecting Your Health? Imagine your life without being able to feel joy, happiness, or even excitement. We would never know how it felt to love or be loved. We would live a life of ritual without any passion to what we are living for. As Dr. Bradley Nelson states so well, ‘our emotions are what gives us color to our lives.” These positive emotions are what gives us goals, determinitation and even a place of feeling grounded within ourselves. If you meditate regularly, you likely know how invaluable it is to your well-being. If you don’t, you probably know you “should” but either cannot seem to start or stick to a regular practice. You are not alone! There is so much research that shows the positive impacts mediation has on our health, productivity, sleep, and even weight. Most of us know it is a great way to calm anxiety and tap into our intuition but when it comes to actually doing it, we often face resistance. The best way to start off your New Year. Write down your goals, dreams, fears and prayers for the year ahead. As soon as you drop it in your Angel Jar, worry a little less and have faith that those of higher being are helping you get there. Drop a note in the jar whenever you feel like you could use a little guidance and perspective. Properly understanding the important functions copper provides in the human body and how that function can be impaired with a slight copper imbalance (or copper toxicity) can help you understand the root cause of your symptoms and find a path to healing.